I used to blog about magazines more often in the past. And then I got busy and blogged about it less and less...(never stopped buying tho lol). 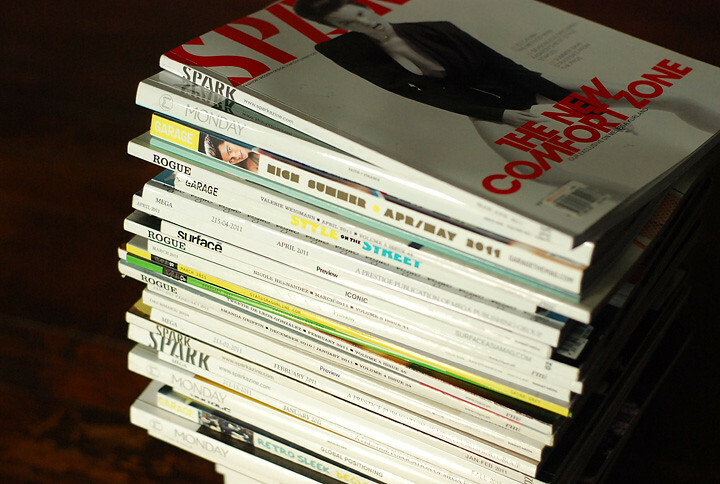 You see, I blog about magazines because I want to share the things that inspire me wahaha zerious but yeah that's true. Also, I am wont to change my magazine "column" title every time I post but I think I'm sticking to this new one. (actually I've started posting #magazinediary entries in my tumblr) That's how I blog about magazines anyway—like a diary. Wahaha am I making any sense lol Though now more photos and less talk because I am convinced that I tell stories better with pictures than with words. Watch this space because in the coming days (fingers crosssedddd) I will try to post some...slowly but surely. *Um is there a way for my tumblr to make all my posts tagged with "magazine diary" appear in one page? Like in the same way "labels" work in blogger? Haha sorry I just really don't know lol. I've been tagging my tumblr posts with that and I don't how to make it all appear now haha. Thanks for any help :-) Ok figured it out—click here.